People dread flights the most when travelling. Some people even fear it, while others just find it extremely uncomfortable. Here are 5 Great Hacks to Help Sleep on a Plane. The New York Post reported that 92% of today’s travellers expressed that air travel still needs improvement. This comes despite the modern advances that have been made in recent years. Nonetheless, flying remains the most common mode of transportation when travelling the world. Most people use it as a time for rest before their actual trip. But even that has its faults. The common issue is that you find it difficult to fall asleep on flights for a number of reasons. This includes turbulence, the surrounding passengers, and even the flight attendants. Alternatively it could be something to do with the food you ate that is affecting your chances of sleep. Even electronic gadgets can disturb sleep. 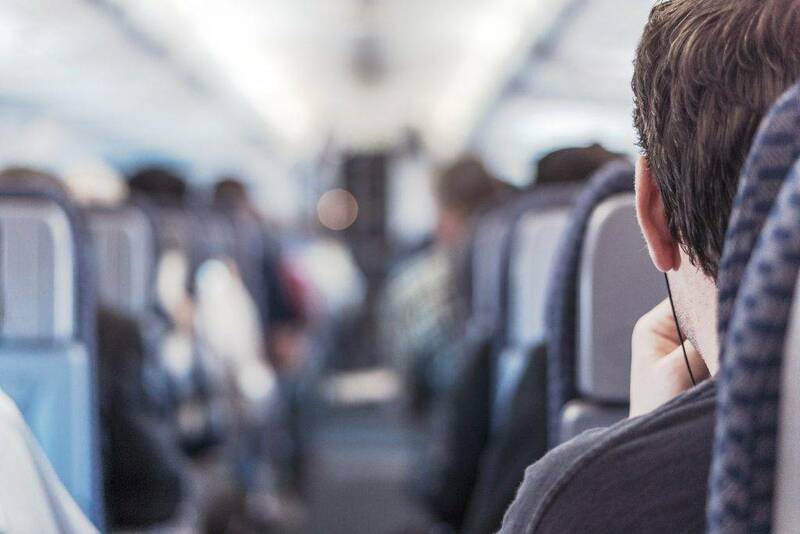 Whatever the reasons you might be having difficulty in sleeping when you fly, here are five hacks for you to follow to help you fall asleep more effectively next time you fly. Popsugar suggests tiring yourself out before boarding the plane. This entails not sleeping a day or a few hours before your flight. They explain that foregoing rest before flying long haul will render you exhausted by the time the plane takes off. This increases your chances of sleeping, even as soon as you get to your seat. This tip is especially helpful when travelling across time zones. Another hack is to stretch out before you fly, according to a feature article by the Huffington Post. You can limit your aches by stretching out which will reduce the chances of cramp during the flight. One other useful tip is to practice yoga before the flight, if you get chance. Yoga has been scientifically proven as an effective method in helping you fall asleep quicker as it helps relax the muscles. One of the most useful tools in ensuring a good sleep when flying is a neck pillow. This is especially helpful for passengers in the middle aisle as they don’t have anything to lean their heads on. What a lot of people are unaware of is that you can use it in more ways than one. Aside from just placing it around the back of your neck, you can also place it in front. This will assist in supporting your head if it ever drops forward while you’re snoozing. Leesa advises against using your gadgets on the plane. The article states that the white light emanating from tech gadgets will keep you from falling asleep. It’s better to pack your smartphones, tablets, and other electronics away to keep yourself from getting distracted. If you need to have some sort of activity to keep you feeling relaxed enough to doze off, they suggest reading a book or listening to music. The less visually stimulated you are, the more chances you have in falling asleep. A lot of fruits contain components that are helpful in inducing sleep. They include avocados and watermelons that are rich in magnesium, which helps relax your nerves and muscles. On the other hand, bananas and cherries are chockfull of potassium, which helps alleviate stress resulting in the body feeling more relaxed. Want to know how to survive a long haul flight? And here are some ways to stay hydrated on a plane.